Today I was reminiscing about a trip to the UK where we visited some friends and took a road trip to France. I love visiting the UK, mostly for the people but also for trips to Waitrose, Sainsbury and of course Marks and Spencers. I will never forget the day when one of my pals came back with groceries with delicious little nibbles we were going to devour that evening. 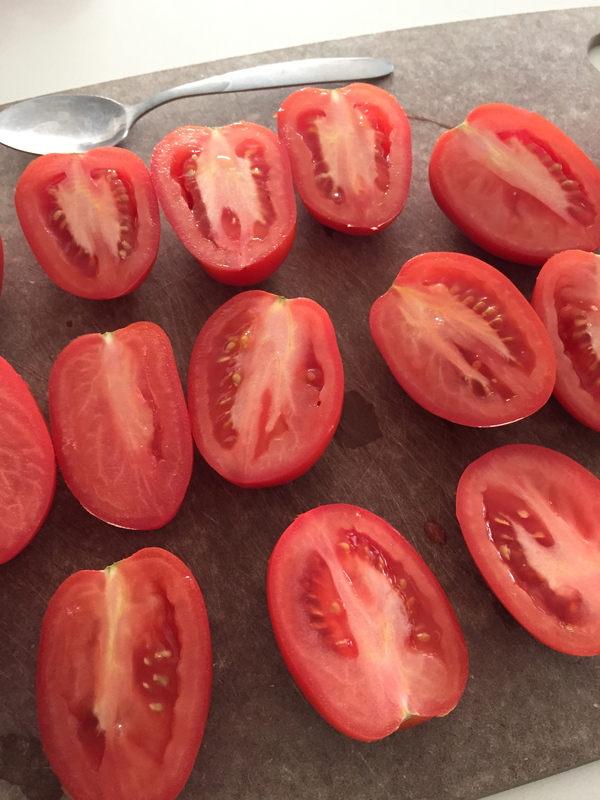 One of the tasty packages was a container of ‘sunblushed tomatoes’. Now to be honest, I have never been a huge tomato fan…I could go without them. The only time I really enjoy tomatoes is in the summer from someone’s garden and getting the chance to make a beauty caprese salad. So naturally when I saw this container I was like ‘meh, I will go straight to the other goodies’. That was of course up until the husband tried one and practically had a tastebud meltdown right in front of me. He went on and on about how amazing they were and insisted I try one. So of course, I did (mostly to shut him up) and WOWSA, those little flavour bombs were amazing!! I couldn’t believe it. I have waited YEARS for these babies to make an appearance on this side of the pond but to no avail. People don’t know what they are missing I guess. 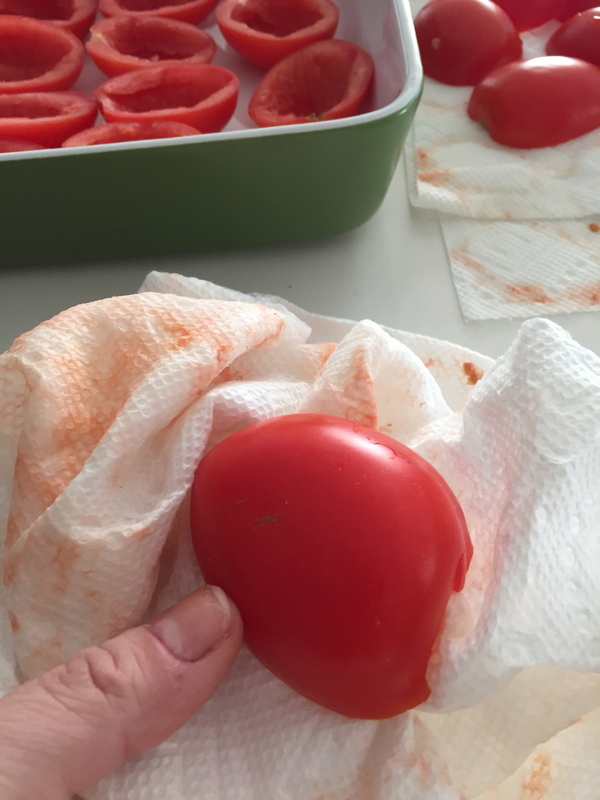 I decided to figure this out myself and make my own sunblushed tomatoes so I could enjoy them whenever the heck I wanted to…plus it was a bit cheaper than a flight to the UK. This recipe is sooooo simple and there really is nothing to it…just time. I like to do this in the evening when i’m just sitting and watching tv or on a day that i’m home and doing nothing because it does require about 3.5-4 hours of cooking time. You don’t have to do anything, no checking, no fussing, just pop em in the oven and do nothing!! Okay here we go. First preheat your oven to 450 degrees. Get a bunch of plum tomatoes. I decided to do a double batch because I figured why not if the oven has to be on that long anyway…I might as well do a double batch. Cut them in half and scoop out the seeds and juice. Scoop out the inerds (this way they don’t become watery soup. Next place them cut side down on a papertowel or tea towel to let all the juice run out of them. Leave them for about 5-10 minutes. If you are impatient like me, you can always dry out the insides with some paper towel. IMPATIENT LADY OVER HERE!! Had to help them dry out a bit by using a papertowel. 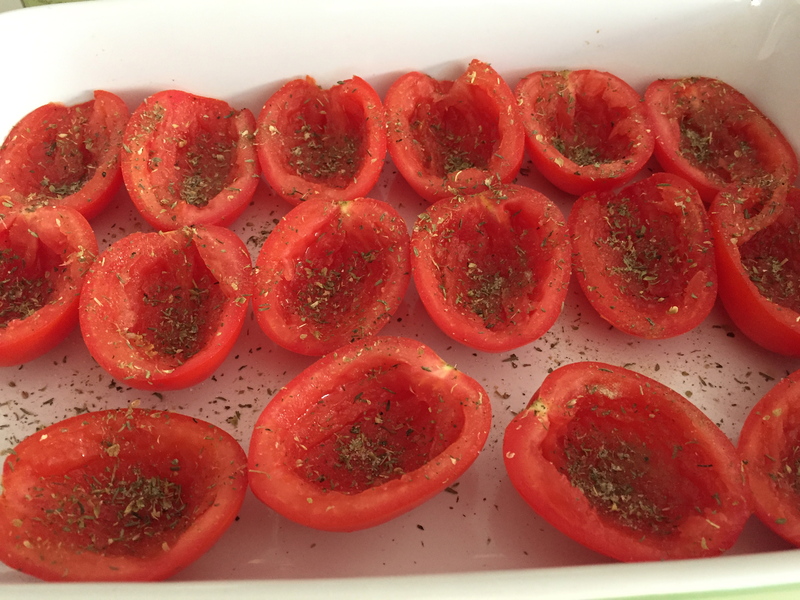 Next, arrange the tomatoes cut side up in an oven safe dish. 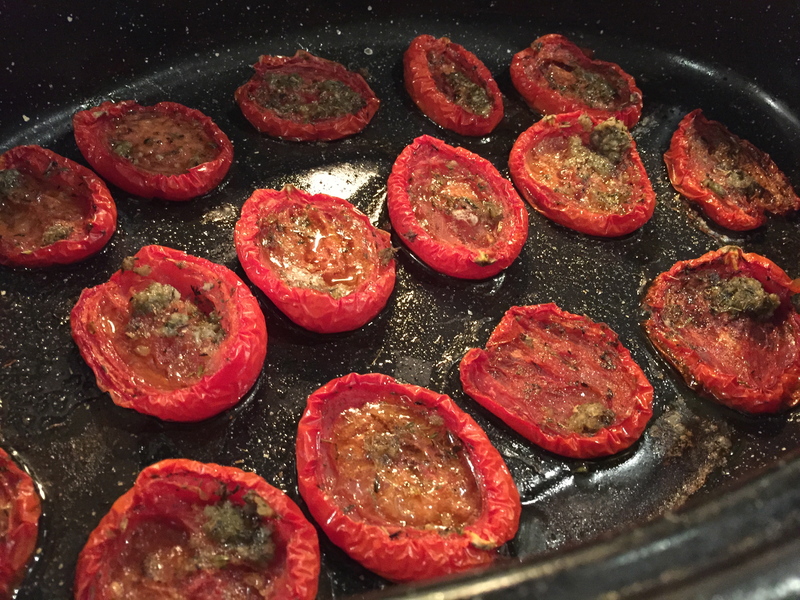 DO NOT LAYER THEM or they will turn to mush and you will end up stewing the tomatoes. You want them to have room so arrange side by side. I ended up using 2 dishes. Next mix your seasoning, sea salt, dried thyme, dried oregano, dried basil and sugar in a bowl. 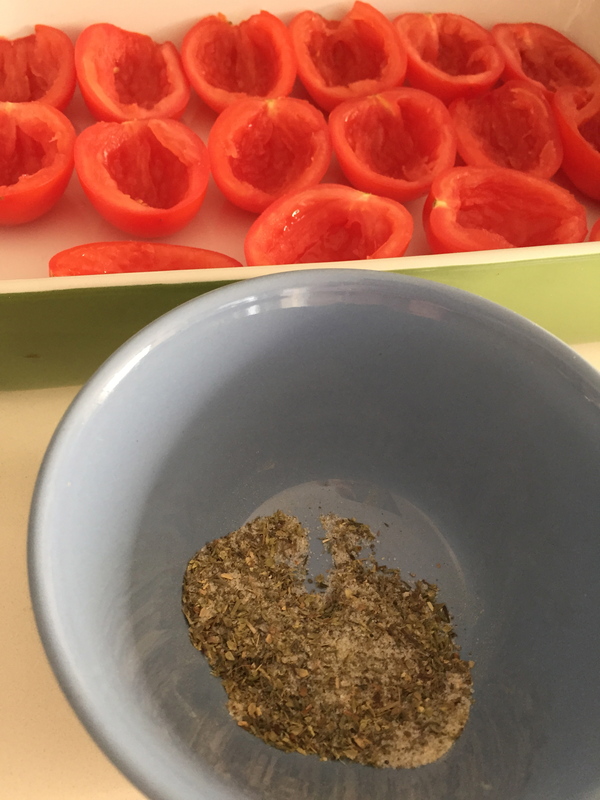 Sprinkle on top of tomatoes. Next drizzle EVOO overtop. *If you want to make these garlicky, follow same method but sprinkle 2 cloves of minced garlic overtop. I did one pan herb flavoured and one garlic and herb flavoured so I could enjoy the best of both worlds!! These little gems are going to keep things AMAZING in the flavour department this week so I am just a little bit excited. You can’t see me jumping up and down but I am. I am so flippin excited for these flavour bombs!! They are going to be sooo soo good!! Now they are ready for the oven. Place them in the hot oven and let them cook at 450 degrees for 5 minutes. Then, turn your oven down to 200 degrees and let them cook for 3.5-4 hours on this low setting. 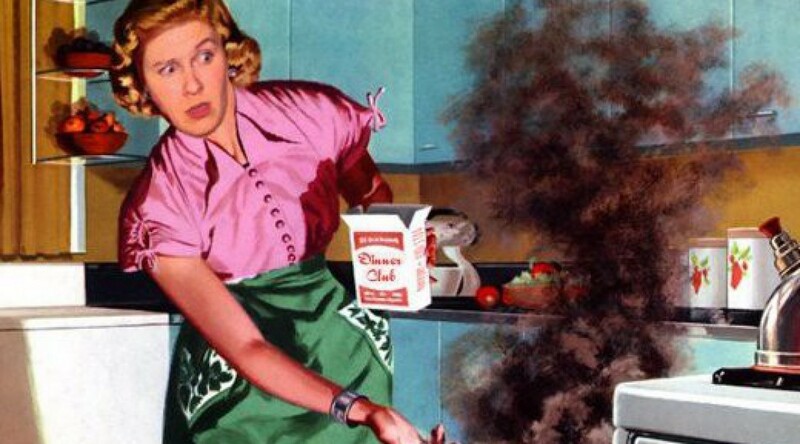 DO NOT OPEN THE OVEN DOOR at anytime during this process okay??? DEAL??? PROMISE!!!! Seriously, you want to keep the heat in there and let them cook long and slow. After 3.5-4 hours, take them out of the oven and let them cool. Confession: I actually let mine cook for a little over 4 hours because I was in the middle of serving dinner and figured a little more time really wouldn’t hurt and I was completely right!!!! Look at them, they are glorious!! Once cool, you can store them in an airtight container in the fridge for up to a week. OR you can put them in a glass jar with the remaining oil from the pan and then top the jar up with EVOO and store in your fridge for a bit longer. I consider this container GOLD. 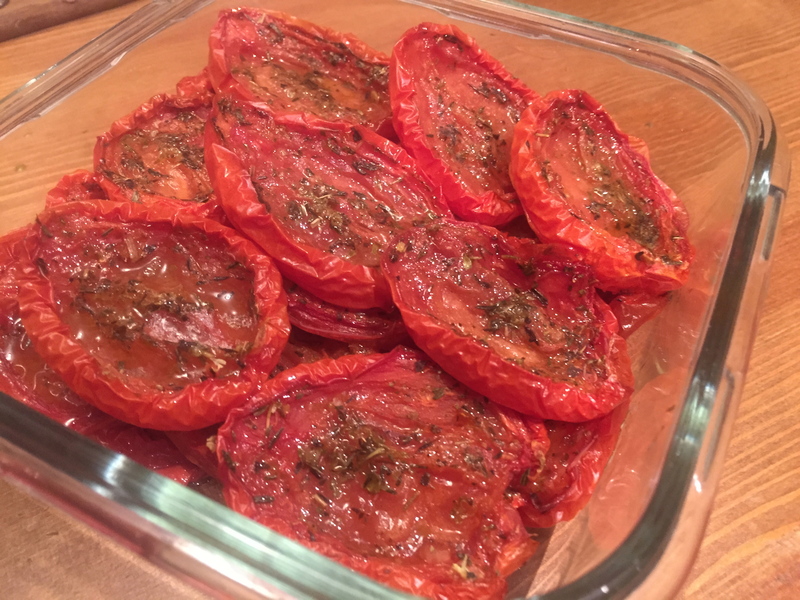 Seriously, the veggie bake below was so super simple and these tomatoes took it to the next level in the flavour department. 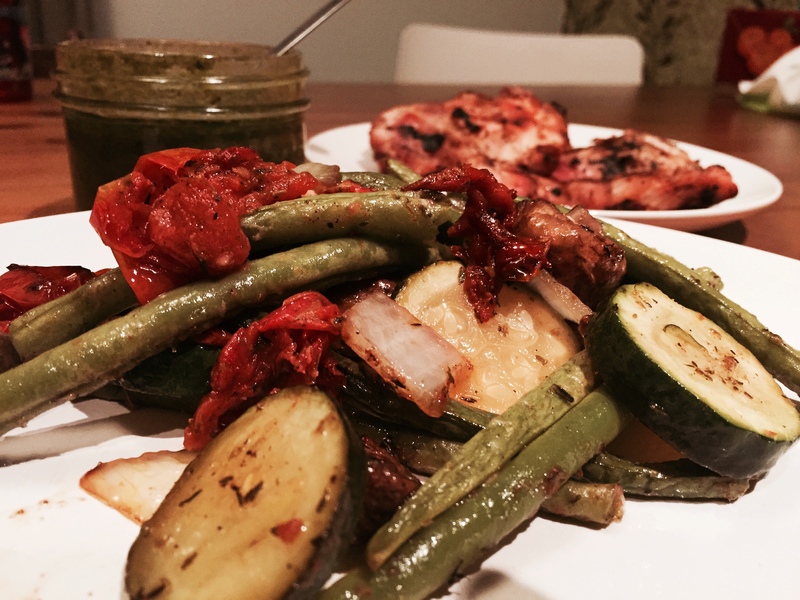 I took boring green beans, zucchini, onion and mushroom, added a few sunblushed tomatoes, evoo, salt, pepper, pinch of oregano and roasted them in the oven for 15 minutes and instantly transformed them in to an amazing dish!! 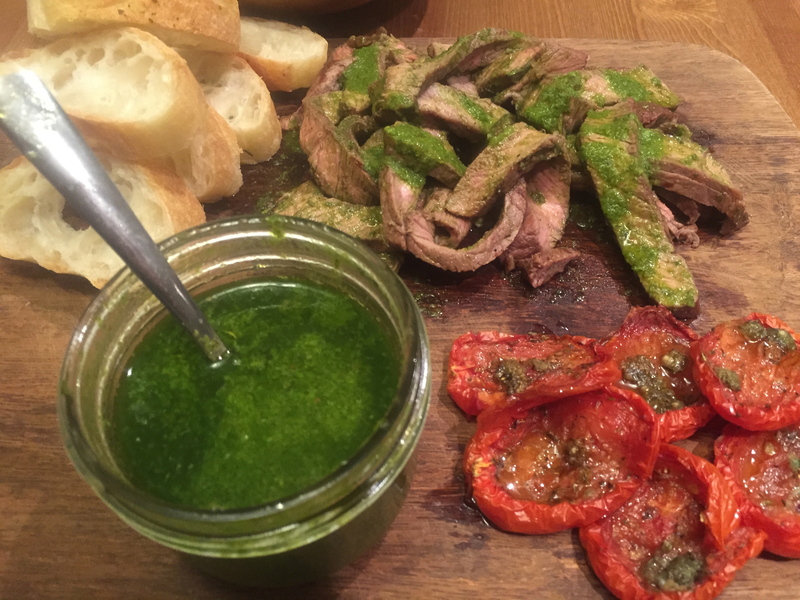 I also served these as a side to my chimichurri steak and it was a total hit!! This was quite the flavour board!! 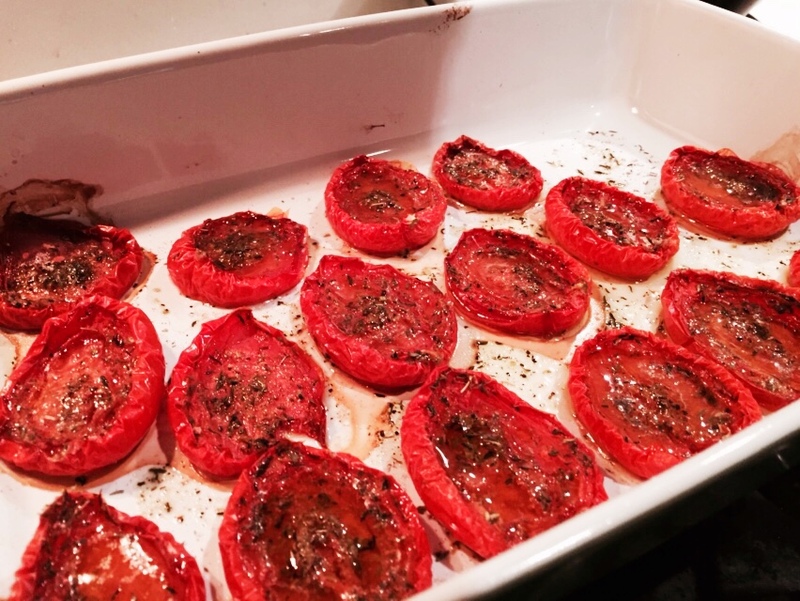 Drizzle EVOO on top and place in the oven. Bake at 450 degrees for 5 minutes, then turn oven down to 200 degrees and then bake for 3.5-4 hours until the tomatoes become wrinkly and not charred. Let cool and then place in an airtight container in your fridge for up to one week. These little bad boys are SO filled with flavour they won’t last long, trust me. 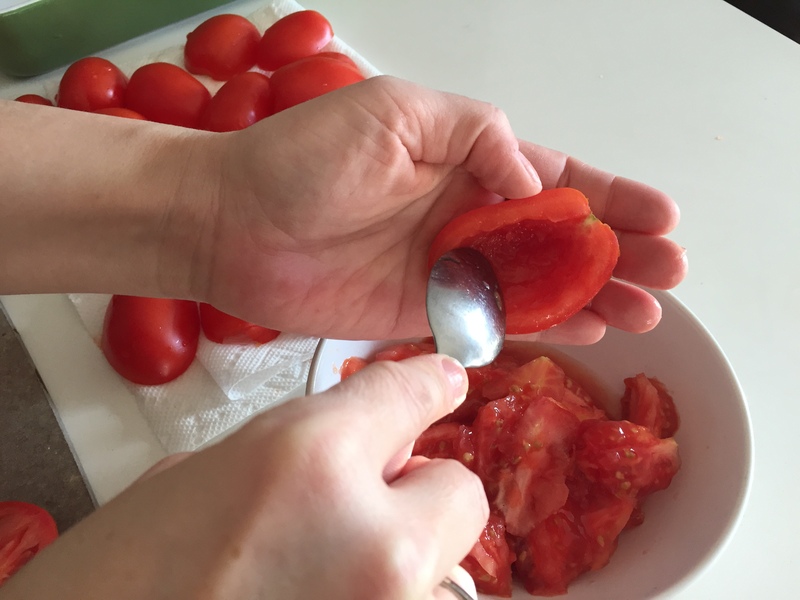 You can also make sunblushed tomatoes using cherry tomatoes. Follow the same method of cutting in half but do not remove the seeds, just place them cut side up and everything is the same. I would say you could use the same recipe using about 4 cups of cherry tomatoes. I hope you enjoy these little flavour bombs my moody little friends! !